Click here to view 2017-2018 Pennant Conditions of Play. Wednesday: If the forecast temperature for Adelaide (not Noarlunga!) on the BOM website – www.bom.gov.au – at 4.30p.m. on the Monday prior to the match is 38 degrees or more , then trial ends will start at 9.15 a.m. Temperatures will be monitored during matches and Noarlunga (not Adelaide) BOM temps will be used for this at HVBC. At away games, their local weather stations will be used. However, if the Monday forecast maximum temperature for Wednesday is below 36 degrees but increases to be 38 degrees or above at 7:30 am on the day of play (Wednesday) then all games will be cancelled. Thursday: : If the forecast temperature for Adelaide (not Noarlunga!) on the BOM website – www.bom.gov.au – is 36 degrees or above on the Tuesday before the game , trial ends start at 9.15a.m. Temperatures will be monitored during matches and Noarlunga (not Adelaide) BOM temps will be used for this at HVBC. At away games, their local weather stations will be used. However, if the Tuesday temperature forecast is below 36 , but then increases to 38 or more on the match day at 7.30a.m., all games will be cancelled. Saturday: If the forecast maximum temperature for Adelaide for Saturday on the Bureau of Meteorology website (www.bom.gov.au) at 4.30pm on Thursday is 36 degrees Celsius or above, all games will be played on Saturday with practice ends commencing at 9.15am. However, if the Thursday forecast maximum temperature for Saturday is below 36 degrees but increases to be 38 degrees or above at 7:30 am on the day of play (Saturday) then all Premier League & Division 1 – 5 games will be played on the following Friday night, with practice ends commencing at 6:00 pm. All other Metropolitan Pennant games will be cancelled and rescheduled at the discretion of Match & Program Committee. No mid game break will be taken in early start games. Pennant games will be played at all venues that are open, even if the majority of other venues have been closed. In the event of inclement (wet) weather, players are to contact their Member Club to determine if play will proceed or be postponed. 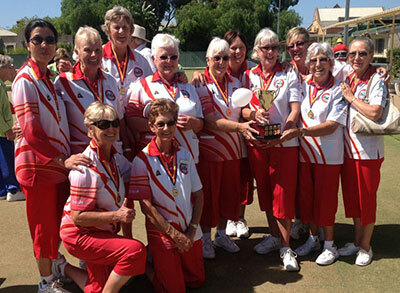 DO NOT contact Bowls SA, the MBA or Match & Program Committee. At each Member Club, the Greens Manager or their proxy shall decide whether or not the greens are unsuitable for play for the whole day. If the greens are unsuitable for play the Home Side will notify the designated contact for each of the Clubs that are playing at that venue on that day. This will be done before 10:00 am (Wednesday and Saturday) and 8:00 am (Thursday). If weather conditions deteriorate at a Member Club which has not declared its greens unsuitable for play for the whole day, the decision whether or not play shall start due to the condition of the greens, shall be the sole responsibility of the Member Club’s Greens Manager or their proxy. When play has commenced and weather conditions deteriorate, the Umpire of the Day will stop play on affected greens if the Home Club’s Greens Manager or their proxy closes the green. This may be in regard to the condition of one or all greens at the venue. Play shall not be resumed without the permission of the Greens Manager or their proxy. The Umpire of the Day may also stop play if a Side Manager appeals on the grounds that the weather conditions are such that continuing to play would constitute a breach of duty of care. A Side Manager’s appeal shall only affect the game in which their side is engaged and shall not affect any other games at the same venue. The Umpire of the Day may also act on his/her own discretion without appeal from either Side Manager if it is felt that the conditions warrant cessation of play. If play has been stopped it shall not be resumed without permission of the Umpire of the Day. Play will be cancelled for the day if it is not possible to resume after one hour from the time of the last stoppage. Play may not be cancelled until the expiry of the hour from the last stoppage. Scoring of incomplete games will be in accordance with Rule 5.8. Please see below for a list of the teams each of our Wednesday, Thursday and Saturday Divisions will play in the 2017-2018 Season. Click here Wednesday Side Listings season 2017-18 to view Wednesday Pennant Side Listing for 2017-2018. Click here Thursday Side Listings season 2017-18 to view Thursday Pennant Side Listing for 2017-2018. Click here Saturday Side Listings season 2017-18 to view Saturday Pennant Side Listing for 2017-2018. Congratulations to The Metro 2 South Team on winning the pennant for 2015 /2016.